Hi! 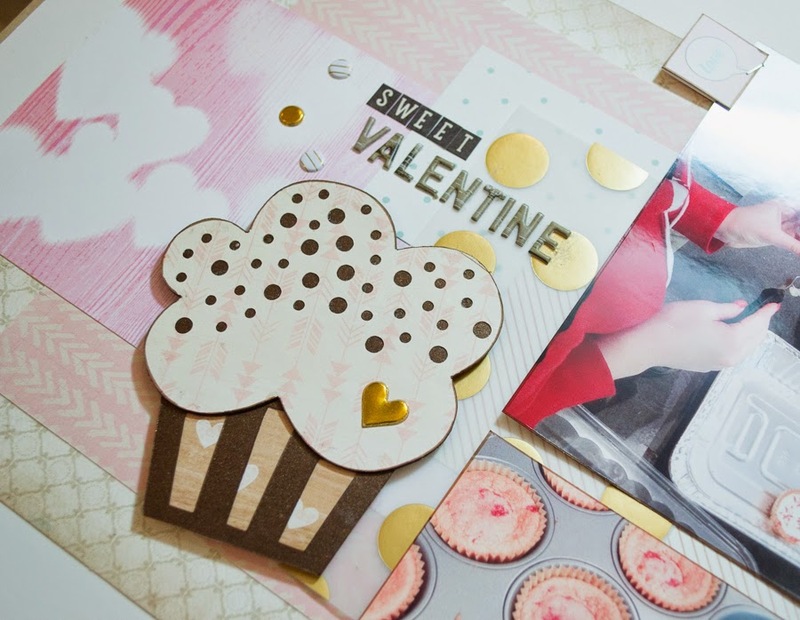 Rona posting a Valentine's layout for you today, using some awesome Evalicious goodies. Again, and you probably have heard this from me before, but I LOVE LOVE LOVE the gold puffy stickers. 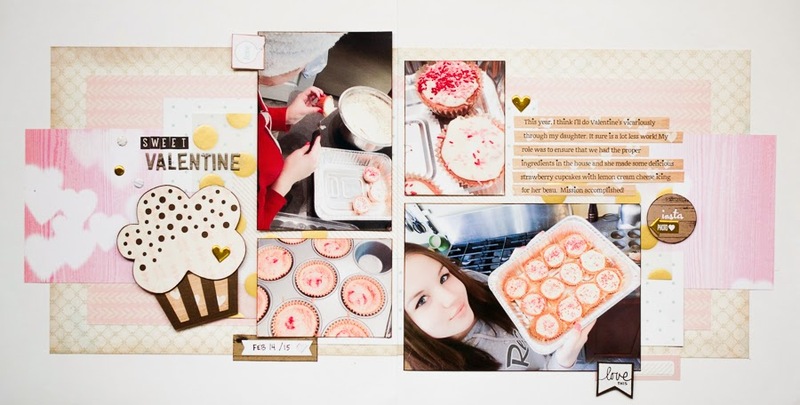 I only put a few on this layout, but the little heart on the cupcake just makes it for me. Digging through my stamps, I pulled out the Love This Banner Stamp. I stamped it on some dark paper and then added some white embossing powder. I had stamped it three times, to make sure I got a good image, but that really wasn't necessary. It stamped BEAUTIFULLY, nice and crisp. I really think that this is an overlooked stamp, so definitely consider adding it to your cart. 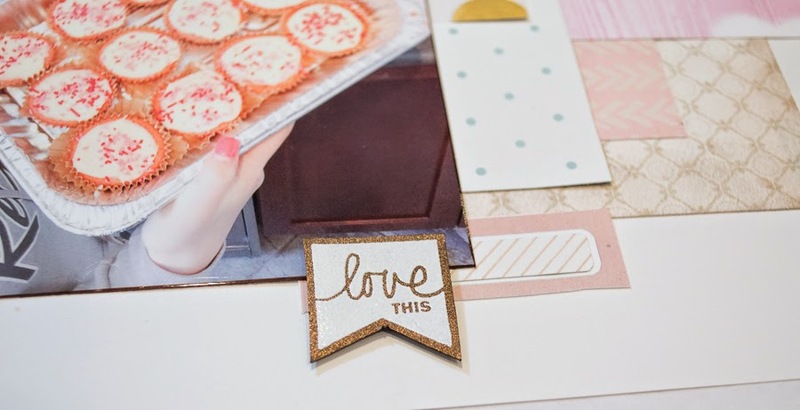 A little trim and some foam tape, and it becomes the perfect little embellishment. Great LO! 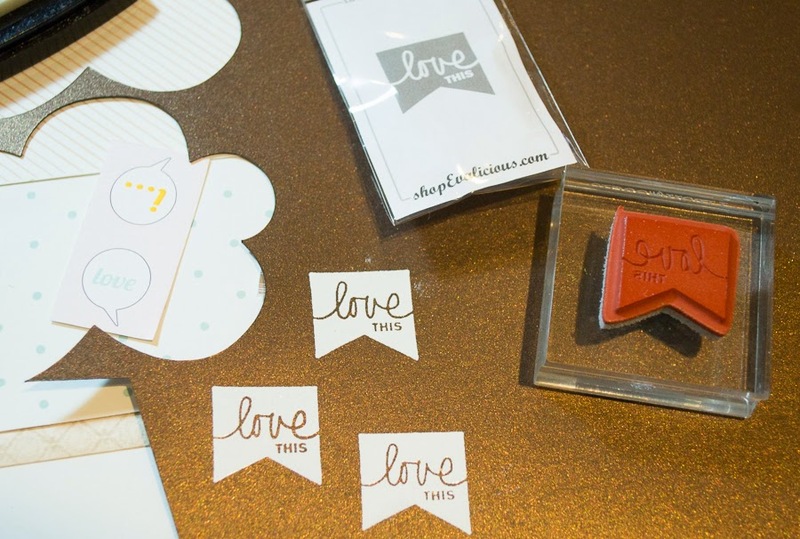 The Love This stamp is especially nice, and your embossing makes it look like cork. Very cool! Very nice! Really cool way to use that stamp. Smcl -- hmmm.... stamping on cork. THAT'S a great idea. Beautiful layout! The cupcake stood out to me first - it's adorable! - but then after seeing how you did that stamp, I'm SUPER impressed with that! Love it all! Wish I could stamp as well as you do! Nice job and beautiful layout! So cute, the cupcake is Adorable!